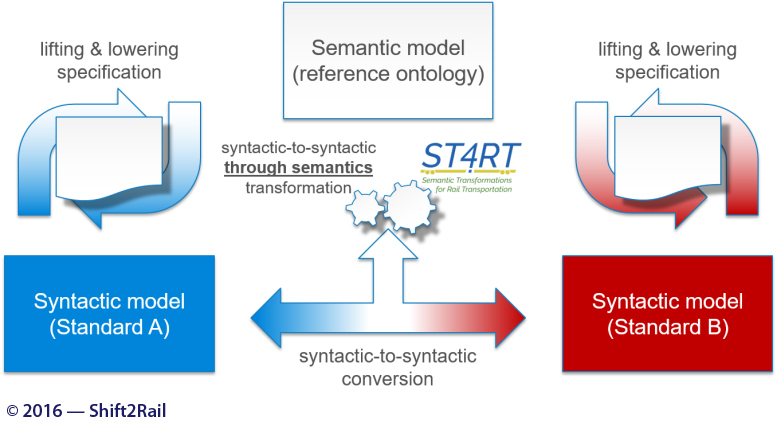 The objective of the ST4RT (Semantic Transformations for Rail Transportation) project is the research in semantic, ontology based automation of transformations between heterogeneous data formats, and its application to a complex ‘after-sales’ process use case in an actual run-time demonstration scenario. The technology will leverage Shift2Rail Interoperability Framework (IF) components developed in the IT2Rail “lighthouse” project, extending it for use in the Shift2Rail projects Co-Active, related to Shopping, booking and ticketing of multimodal travel solutions, and ATTRACkTIVE, related to Travel companion and tracking services. The project will additionally provide a case scenario for exercising the Governance and management structure developed under the GoF4R project, related to Governance of the Interoperability Framework, ensuring its market uptake and sustainability. These technologies will comprise ontology engineering and automated semantic transformations, in a dedicated Work Package, to provide the actual runtime demonstration scenario of the application of such technology to transformations of existing European TAP-TSI specification exchanges executed on an existing industrial platform for such exchanges. 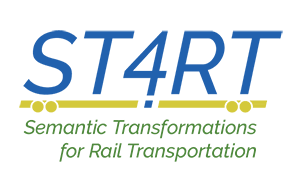 The project extends the capabilities of the IF as described in the Shift2Rail Multi Annual Action Plan contributing to the realisation of a distributed semantic “web of transport” integrating the TAP-TSI specification as one of its elements.